Just as people trained in CPR and the Heimlich Maneuver save thousands of lives each year, people trained in QPR (Question- Persuade-Refer) learn how to recognize the warning signs of a suicide crisis and how to question, persuade and refer someone to help. The training was developed by the QPR Institute. 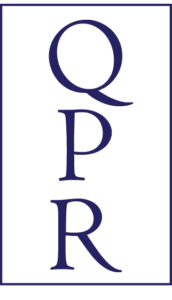 The Sertoma Centre is a social service agency in the Southwest Chicago suburbs that offers free QPR training. CEUs for the QPR class cost $15 and are available for social workers, respiratory therapists, psychologists, occupational therapists, nutritionists, nurses, nurse practitioners, dietitians, dental hygienists, counselors, athletic trainers, administrators, and accupuncturists. For more information about the agency, visit the Sertoma Centre website. To get on the email list to receive notifications about local trainings such as this, email your request to [email protected].